Message #1 Posted by Katie Wasserman on 19 Sept 2000, 8:09 p.m. I like the way that you handled the person on ebay using the museum's picture of the 22s for their auction without permission. It's a funny and effective way to deal with those sorts of things. But it also probably puts a scare into the current high bidder. I was one of the bidder's on that auction and felt a sense of relief that I was no longer the high bidder when the picture changed and there was no explanation as to why. That is TOO FUNNY! I read Katie's message and rolled on the floor laughing... (High Fives, Dave). Katie, this ALERTS the high bidder. In this case, its likely a perfectly good calc. But in general, if a vendor is willing to use somebody else's work WITHOUT PERMISSION (and Dave is not that hard to reach), you can practically count on the 22s being less than advertised. Picture hosting costs money. Either people have to point to their own sites, or they use services that run banners, or they pay eBay a small fee for picture-hosting. So "borrowing" a picture on another site is likely an everyday occurrence. But the site they point to gets not even a nod? Not even the opportunity to say, "hey, visit this place for good info?" All the extra server traffic of eBay's picture-loading, but no traffic into the site itself by people interested in that calculator? The reason some vendor would not give this nod willingly is that he/she DOES NOT WANT the buyer informed. The vendor who borrows without reference or permission is probably hoping someone will come along who has no reference-point to its value, and so will bid much higher. I'm fairly sure Dave has often given permission to people who asked, with the reasonable qualifiers any copyright holder is entitled to. If vendors do not SEEK permission, you might as well presume that the calc IS a TI DATAMATH with a masking-tape label. LOL! Pity I missed the Datamath image, Dave has a much more polite version up now. Some never say a word. Some change the image URL. Once, the seller actually wrote to me and apologized. Wow! Heehehee, that is a good warning post, Viktor. That would make me, as a buyer, jump off that page like I could catch a virus from it. 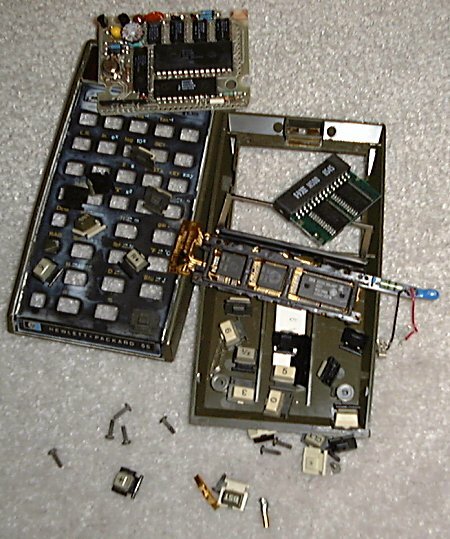 Perhaps we should find a picture somewhere of a dirty, warped calculator with springs and wires hanging out, smoke curling up from the display, digits that are missing a few bars, and a few of the buttons installed upside-down. A few flies buzzing around it might not hurt, either. 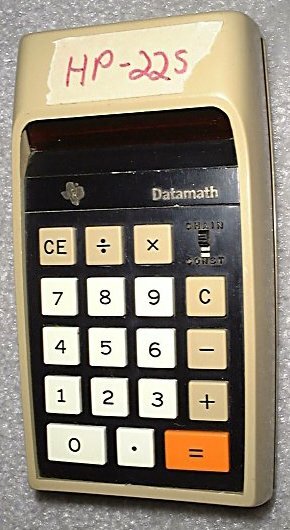 Has anyone ever had a contest to find the "world's ugliest calculator?" My niece (five at the time) had a cheap toy one with big buttons in the shape of the numbers and operators. It was fun, because it was "solar", and the mere shadow of a hand coming toward the calc would make it clear to zero. Destroyed by fire and then pit-bulls? That is truly a sad pic. I'm glad you chose to use the Datamath one instead. LOL Great way of handling Dave! Katie, I'm sure I did cause some nervousness but I think it was called for. Bidders should be nervous if they thought they could determine the condition of the item from the old picture and the seller should be nervous that he wasn't going to get as much money. Some sellers are more sophisticated about this. 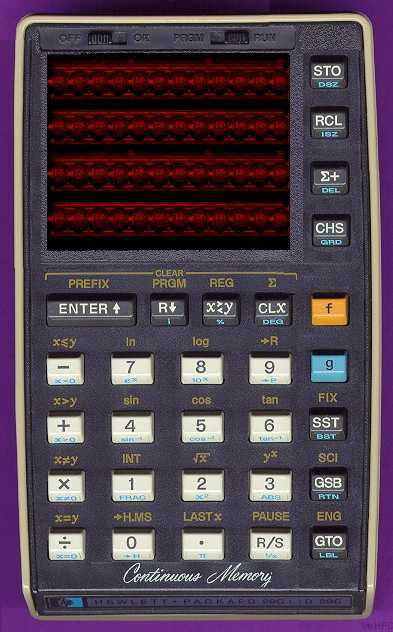 I've seen some cut my calculators out and place them on different colored backgrounds and then resize the image to obscure its source. Most sellers claim that the items they're selling look exactly like the item pictured but, in my experience, many ebay sellers seem to have poor eyesight. LOL, that pic kills me every time I look at it!!! 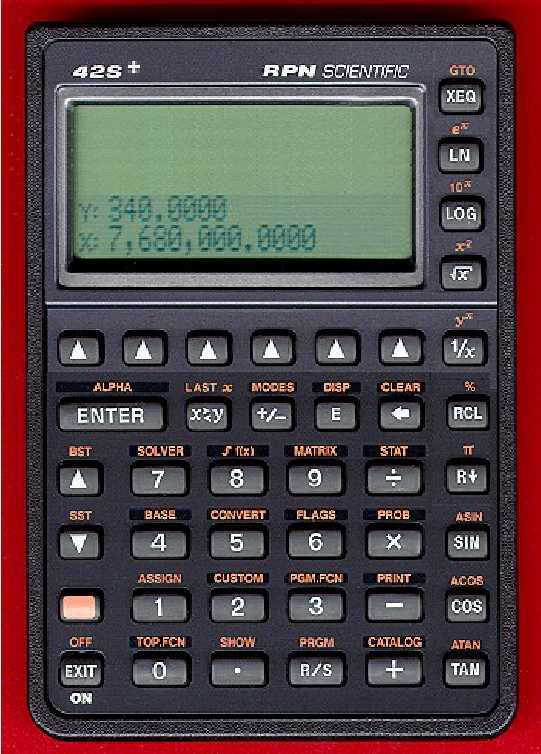 I recall a couple of years ago, I was selling an HP calculator on eBay (an HP 41 I think). Before I posted the item on eBay, I wrote to Dave Hicks and ASKED him if I could use one of the Museum's scans (since I didn't have a camera or scanner at the time). He said yes, provided credit was given to the Museum for the source of the scan. I had no problem with that, and was happy to advertise for the HP Museum. Getting permission to use an existing image is simply good manners. While e-mailing back & forth with Glynn Harris about the calculator we wished we could have, I too "misused" a couple of Dave's images, but in a different manner.